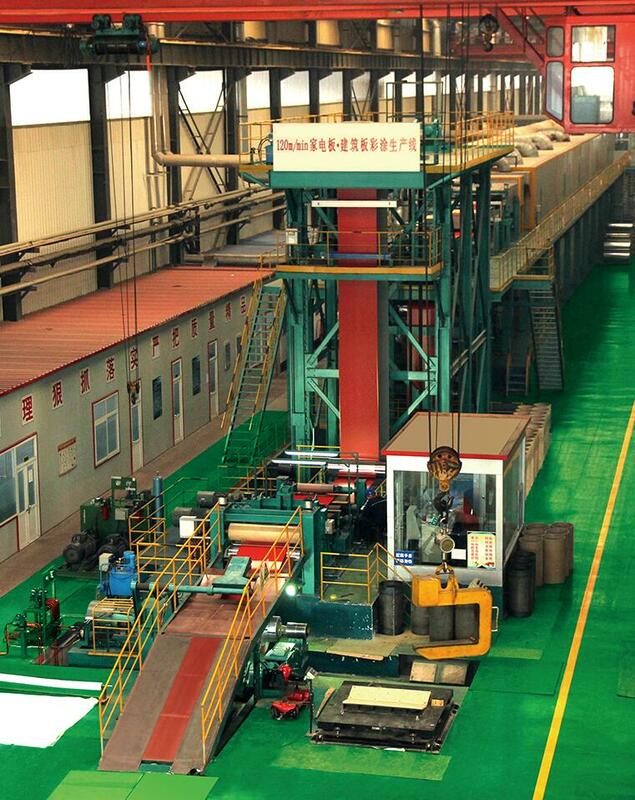 The annual capacity of 1250mm pickling line is 600,000 tons. The product specification is 1.8~4.0mm x 800~1250mm. 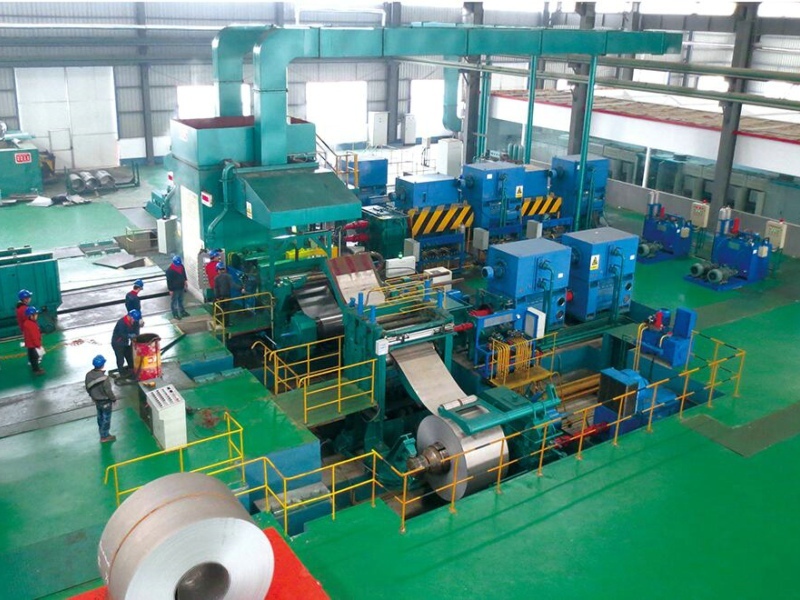 The production line adopts push-pull turbulence pickling line of world-leading level along with five-roll machine. It can automatically cut at middle of the plate. The temperature and hydrochloric acid concentration can also be automatically controlled. The product surface is clean and bright which can be used as cold pressing steel and commercial plates. This production line has the advantages of simple device, light weight, less energy consumption, small size, easy to operate and small investment. The process of our picking line can reduce the pickle time and improve the efficiency. The products have good shape and the quality can satisfy all kinds of requirements of customers such as mechanical property test, surface quality, thickness and accuracy. 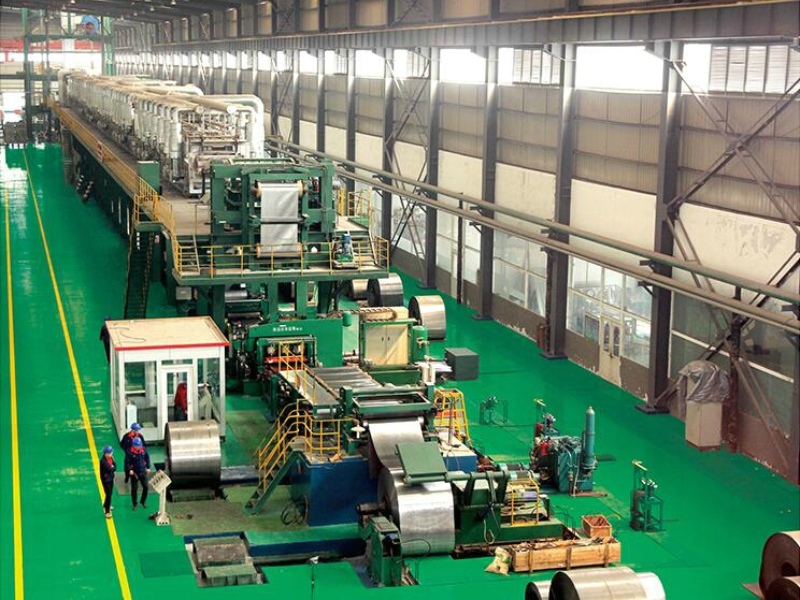 The annual capacity of Galvanized Line is 320,000 tons. We adopt the UEC hot dip galvanizing process which is the most advanced and wildly used in the world. The main specification of product is 0.15~1.5mm X 800~1250mm. 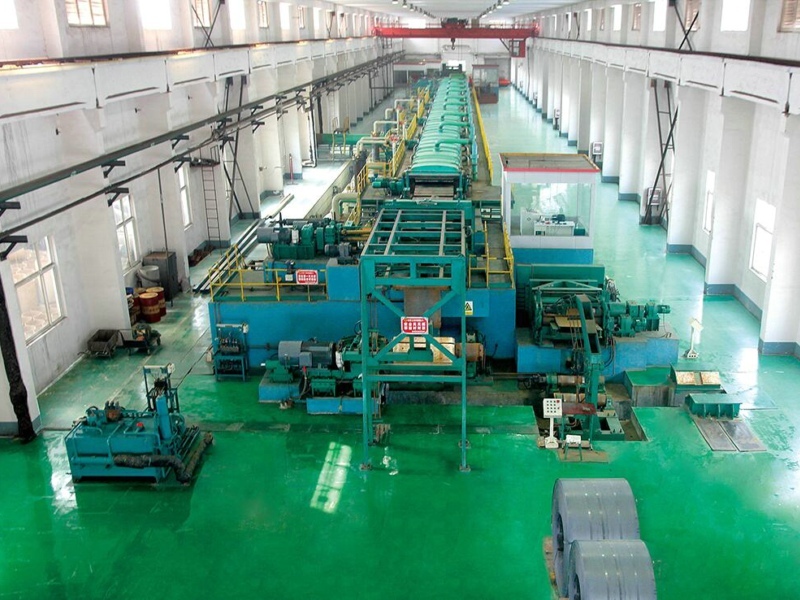 This production line is equipped with horizontal continuous annealing furnace, jet induction ceramic zinc pot, four cavity inlet air knife, skin-pass mill, withdrawal and many other advanced equipments. The exhaust gas and heat residual recycling technology is our patent which could be energy saved. We could also provide the product life length lasts for ten years as customers commanded.